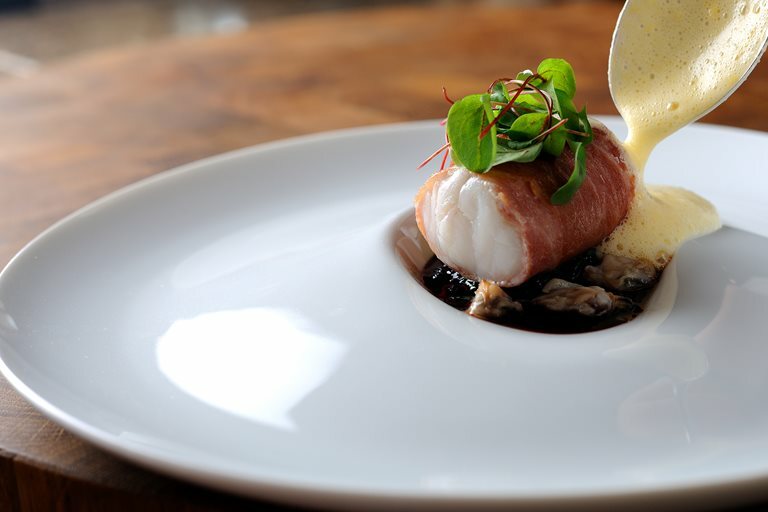 Sous vide Monkfish wrapped in Parma ham is a wonderful way to enjoy this sweet fish, as the saltiness of the ham provides a lovely contrast to the delicate cooking and taste of monkfish fillet. Chris Horridge's recipe shows real flair, incorporating both a bold red wine jus and frothy lemon sabayan for perfect balance. A real showstopper of a fish dish for a dinner party or special occasion.